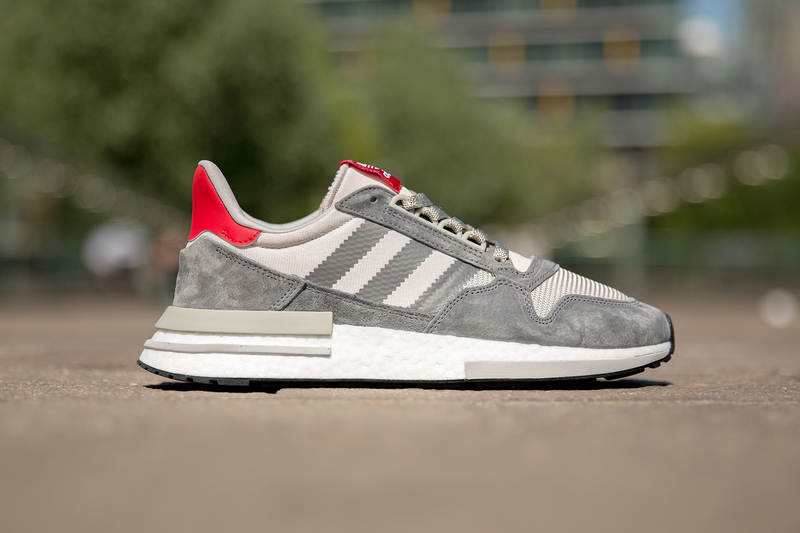 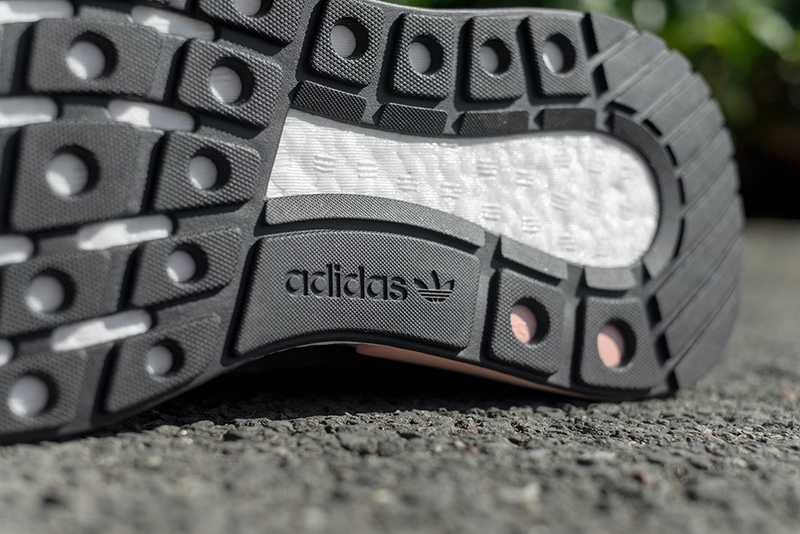 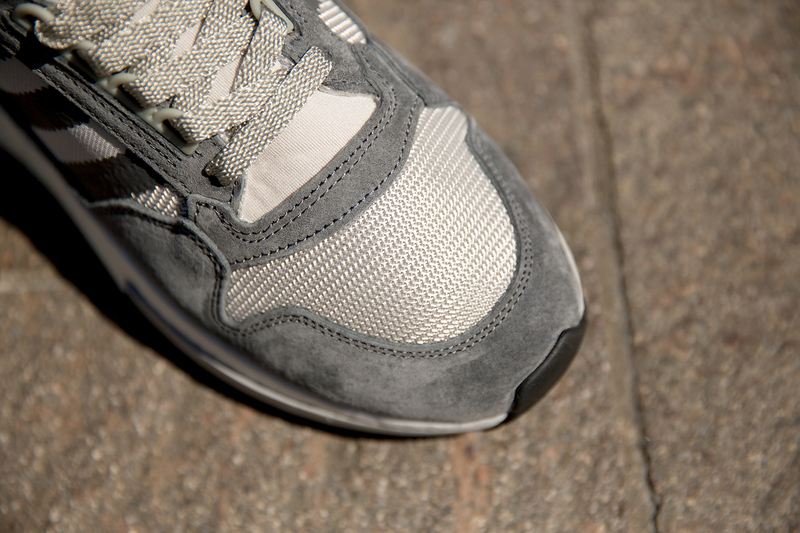 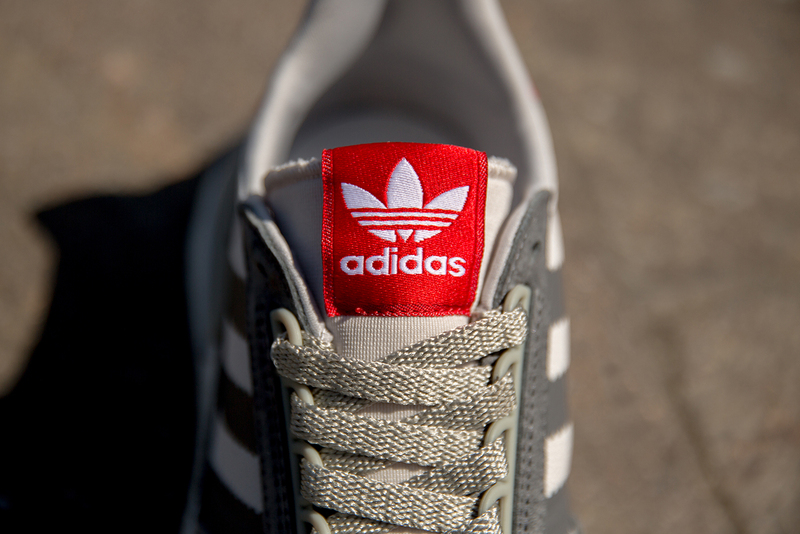 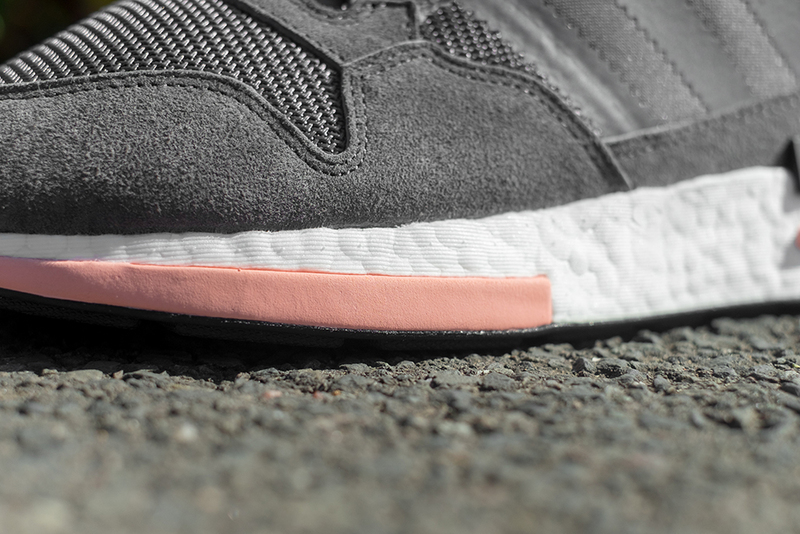 Arriving in two colourways, the first is an homage to the original Grey, White and Red ZX500 from years gone by. 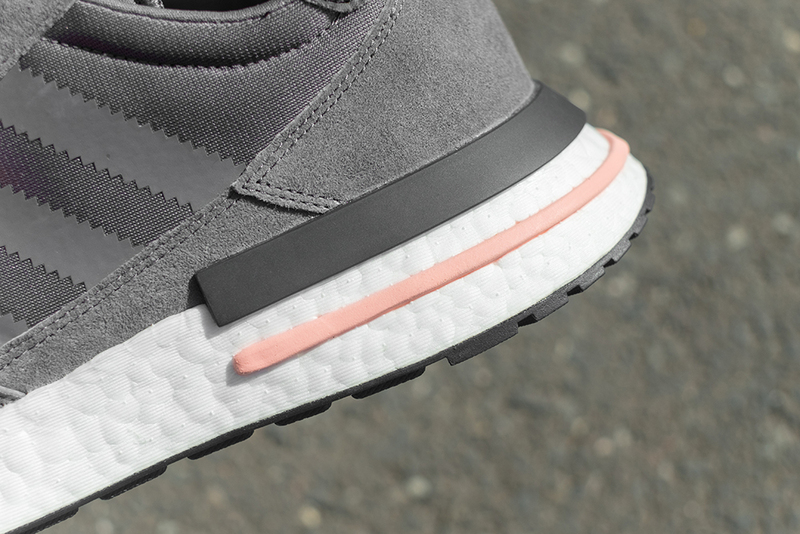 The second (Keep an eye out for images tomorrow) is a more contemporary take that uses a deep stone grey as a base colour, with candy floss pink accents found on the tongue branding and midsole inserts. 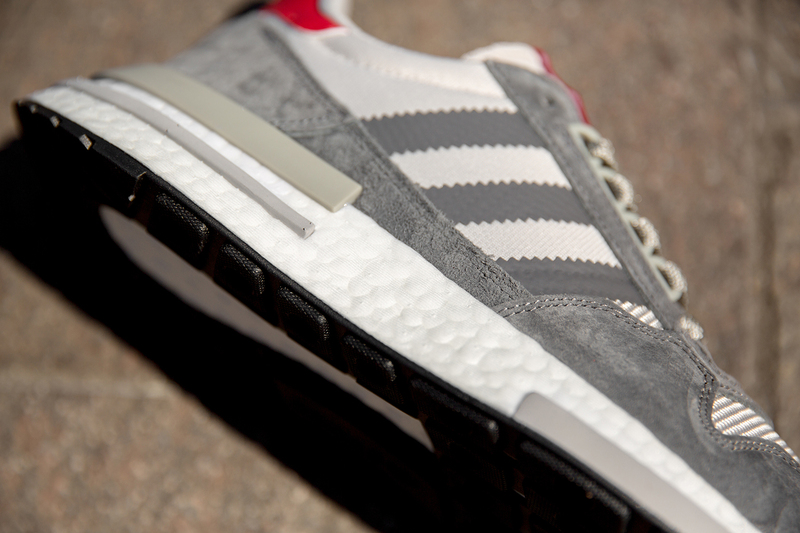 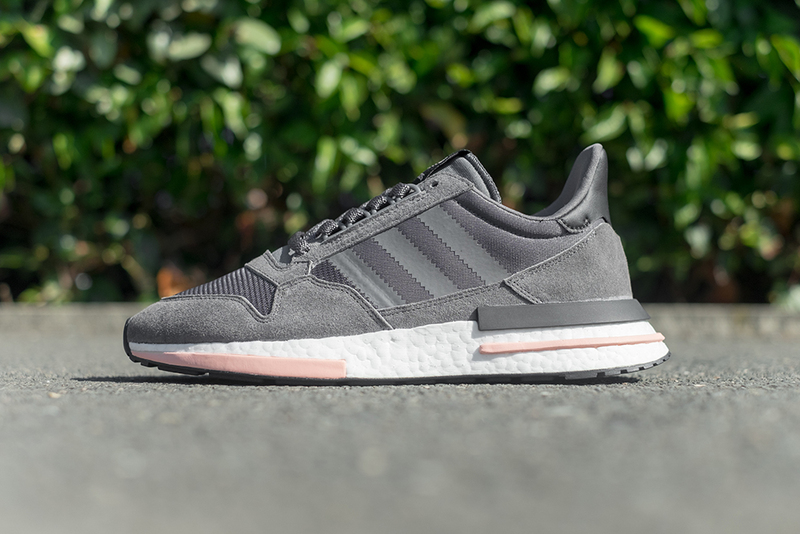 Both colourways of the adidas Originals ZX500 BOOST are available online and in selected size? 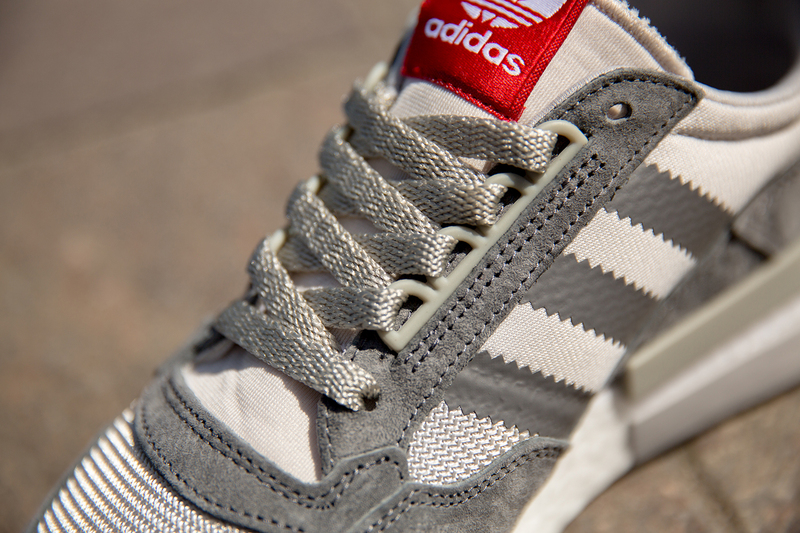 stores, priced at £120.